3.5 How to Use iPhone 7 Plus’s Dual Lens Camera? Windows Movie Maker is a free video editing software and movie making software for PC users. But the functions are quite limited and it often crashes, so many people don’t want to use it and want to find a Windows Movie Maker alternative which is much better than Windows Movie Maker. 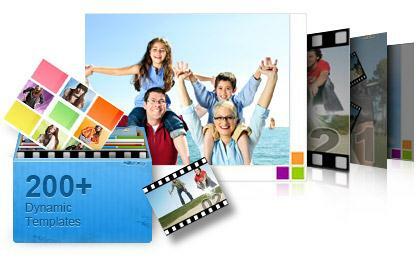 DVD Slideshow Builder Deluxe is an all-in-one slideshow maker. If you want to create a sophisticated video slideshow, you'll be pleased with it. There are always special moments you want to cherish for lifetime. 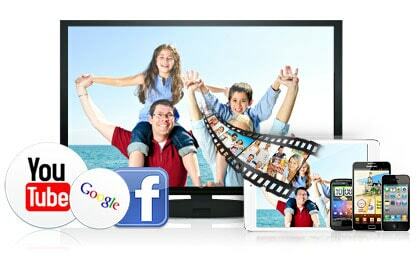 Simply drag and drop photos & video clips to easily make a DVD movie to keep memories alive. What's more, there is no quantity limitation of photos. Just add as many as you like! Touch up all movie story contents. 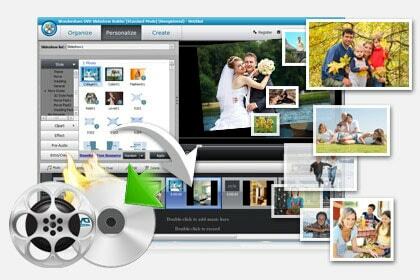 Add motion to photos & videos with 2D/3D transitions and Pan/Zoom effects, edit contents individually with music/video editing tools, and 150+ thematic DVD menus like holiday, wedding, love & anniversary make menu authoring easier than ever in the slideshow making software. Preserve your story and share it anywhere. Enjoy shows on big screen TV using any DVD player by burning them onto DVD. You could also share stories on YouTube, Facebook, and On-the-Go. Directly uoload videos to YouTube is supported now!